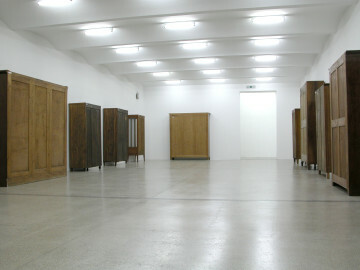 His project stuffed is situated not only in the Galerie of the Secession, but also in various places of business in the city center of Vienna. It examines the potentials of meaning inherent to display cases and showcases, as well as their different presentation contexts in museums, exhibition spaces and shopping zones, including the concomitant attributions of value and circumstances of ownership. 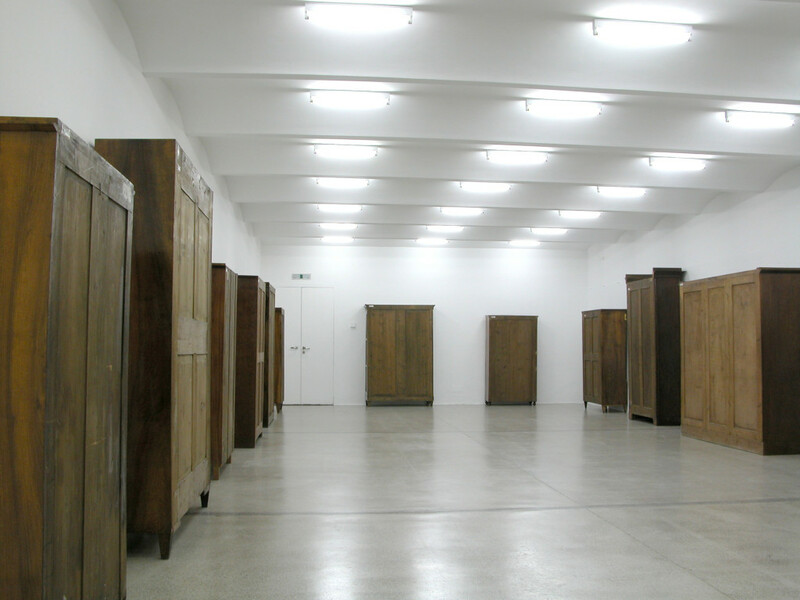 Mel Ziegler furnishes the exhibition rooms at the Secession with a number of Biedermeier showcases and cabinets from the Imperial Court Furniture Depot. 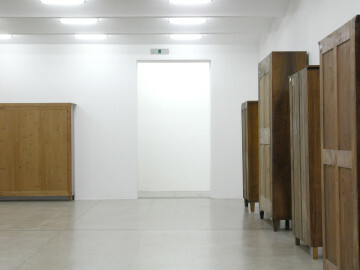 The display furniture, which is now public property as part of a collection, is placed with the display side facing the wall, so that the cases reject their original function of presentation and become exhibition objects themselves. 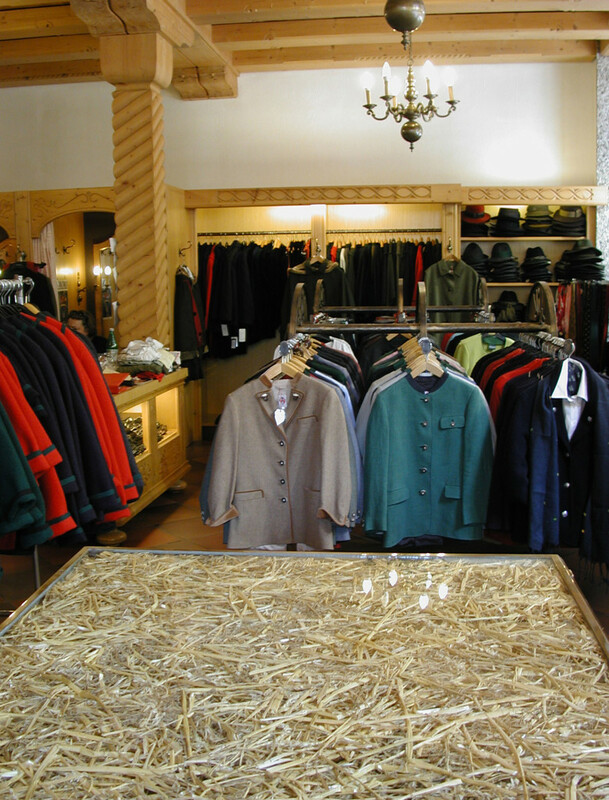 Against the social history background of a general retreat to the private sphere, the home was the most important area of Biedermeier culture (1815–1848). 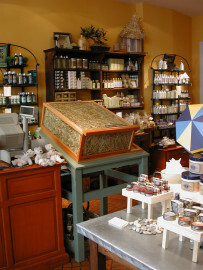 The industrialization that arose during the Biedermeier era not only made an increase of private property possible for a broader segment of the population, but with the offers of (mass) goods instead of production on order, it also led to a changed culture of consumption, which still predominates today. For the bourgeoisie, which became increasingly prosperous after the Napoleonic Wars, yet was still kept at a distance from political influence, furniture provided a means of displaying one’s property. Whereas the taste of the bourgeoisie was still oriented to that of the aristocracy, resulting in collections of mementos, porcelain, glass and other luxury goods, a countermovement of acquisition took place on the side of the imperial court: Biedermeier, which came into full bloom in Austria, is the only style of furnishing that was adopted by the aristocracy. 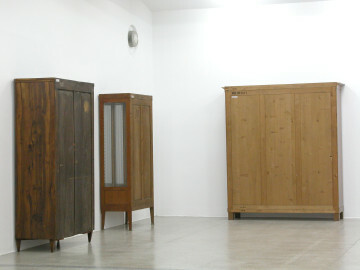 These parameters of the furniture’s historical circumstances—the interlocking of property with private and public spaces of representation—are also the central point of reference for the second part of the project, which has been realized in the city center of Vienna, as indicated by both a wall text and the extensive online documentation. 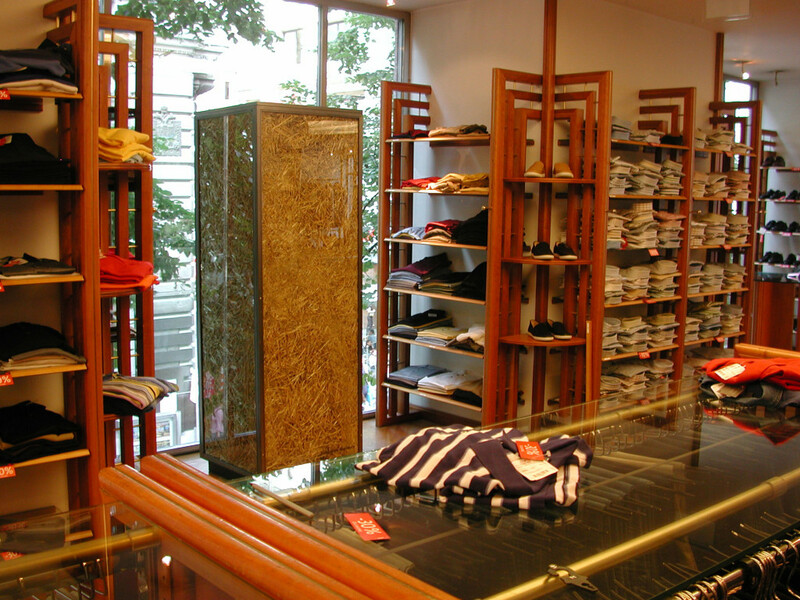 Mel Ziegler has placed roughly fifty contemporary display cases from the stores of various museums of Vienna in numerous places of business in the Vienna city center (Kärnterstrasse, Graben and side streets). The basis for this translocation was Ziegler’s observation that displays and showcases are not only an essential element of the language of museums and exhibition houses, but also feature significantly in the image of the city (center) and the shopping zone, especially in Vienna. 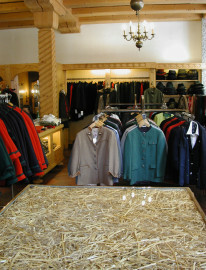 The museum display cases are integrated in shop windows and filled to the brim with straw. Showcases that are already there in the shops are filled with straw in the same way. 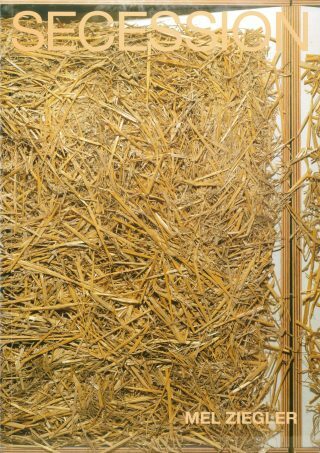 The straw, which is golden, yet virtually worthless and strangely out of place with its rural connotations, questions the normativity of value attributions that go hand in hand with a presentation within the world of consumption and commodities. It hinders looking into the presentation space, where the products that are otherwise displayed are found, and it calls attention to the furniture itself in a way that is comparable with the display cases facing the wrong way in the Secession. At the border between advertising and exhibiting, the question remains open as to whether the display cases are commodity goods or art works. Mel Ziegler demonstrates the conjunctions and intersections of commodity and art presentation and thus negotiates the associated issues of originality, authenticity and distinction in the discussion of site-specific art. Mel Ziegler, born in 1956, lives and works in Austin.